If you're a fan of single table poker tournaments, then VC Poker have an extra special offer for you to kick off the New Year, with a huge bonus prize on the table. Throughout January, players of single table tournaments at VC Poker stand the chance to win up to $2,000 in bonus money, just for playing the STT format they love. But, you'll have to go on a winning streak to really mount that bonus cash up. If you're having trouble winning three, four or five STTs in a row, then VC Poker could still hand over a hefty bonus. If you place 1st or 2nd in five consecutive STTs, VC will credit you with a special $100 bonus. The great thing about this promotion is that all budgets, right down to $1 STT players, are eligible for the bonuses. Players at $1 STT through to $5 STT win 25% of the bonus amount. $5 through to $15 STT win 50% of the bonus. STTs over $15 are eligible for the full bonus fund, 100%. This promotion has just started and ends on January 31st, so single table tournament players still have almost a full month to take advantage of this superb new promotion. 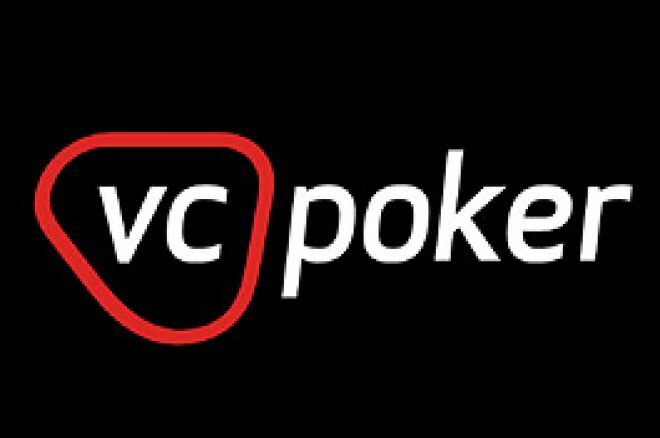 Ed note: New players at VC Poker can claim a $100 bonus when they open an account.